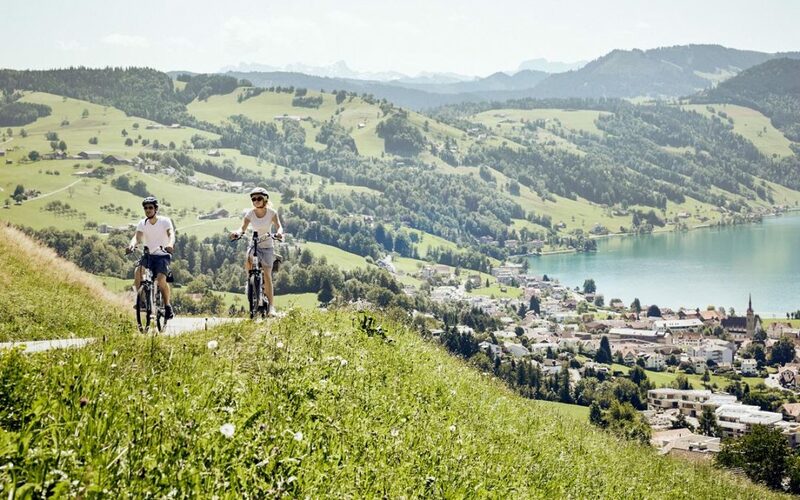 Lucerne, in the heart of Switzerland, is surrounded by natural beauty, and has been attracting religious groups and tourists for decades. 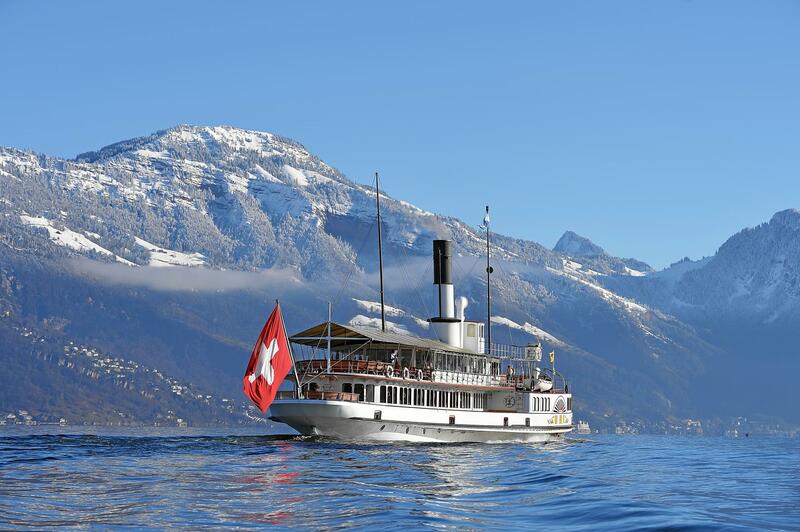 Famous personages such as Queen Victoria, Mark Twain and Victor Hugo also have been lured to Lucerne and the outlying area. Along with the beauty of the countryside, the religious significance of this city cannot be underestimated. Lucerne, at the foot of the Alps and Lake Lucerne, began as the tiny 8th century monastery of St. Leodegar, a Benedictine cloister. Lucerne was the only major Swiss city to reject church reformation in the early 16th century, and it became the leading power of the Catholic faction in religious disputes and four civil wars caused by religion between 1529 and 1712. The city of 85,000 people is on the popular Way of St. James that leads to Santiago, Spain. One route from Lucerne goes up through Rueggisberg and Schwarzenburg and then on to Freiburg, Germany and beyond. 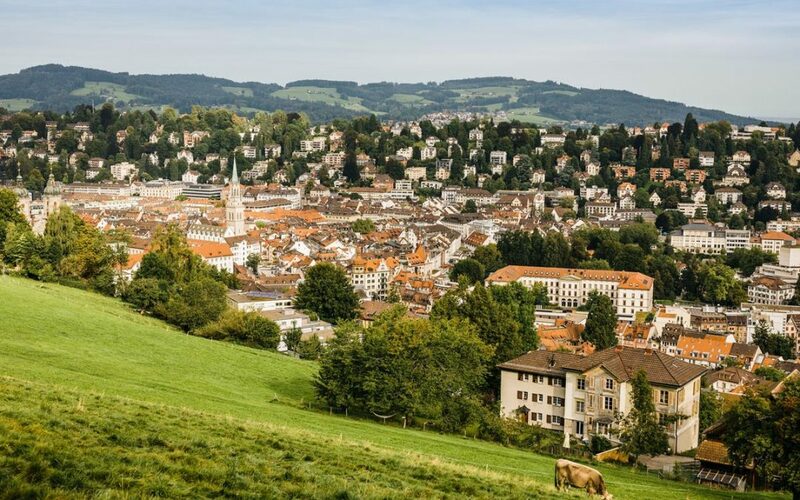 Pilgrimage groups will want to learn about Brother Klaus, a spiritual counselor and peacemaker from the 15th century who lived close to Lucerne; he is Switzerland’s national saint and the patron of many churches, and his fame spread all over Europe. The Brother Klaus Museum is in Sachseln, about 30 minutes from Lucerne. Lucerne has a number of important churches that should be on any group itinerary. Dating back to 1912, St. Paul’s Church is a unique blend of Neo-Gothic and Art Nouveau styles and features a splendid interior, charming frescoes, majestic glass and a huge pipe organ at the rear of the sanctuary. 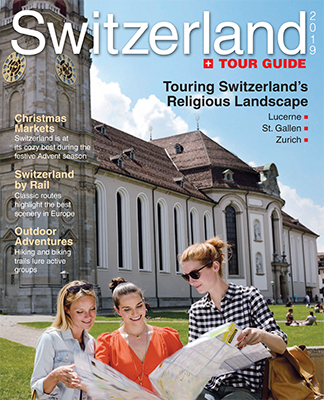 Lucerne’s Franciscan Church, which once doubled as a city hall, was built between 1270 and 1280 and features a simple Gothic architectural style on ground level, but Renaissance and Baroque styles follow as the walls rise. The highlight is the spectacular side chapel, decorated with Italianate stucco in a Baroque style; also inside you’ll find a wide range of interesting sculptures and paintings. The carved wooden pulpit dates from the 15th century. 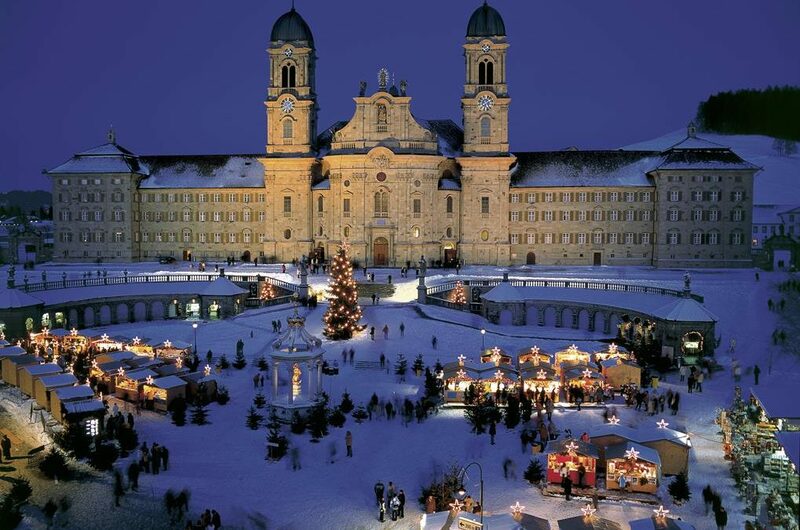 The beautiful Jesuit Church is considered to be the first large Baroque church built in Switzerland north of the Alps. It’s located on the south bank of the Reuss River in a triangular area known as Kleinstadt. Special points of interest include the sacristy, the rich stucco work and church relics including the penitential robe of St. Nikolaus von Flue. It also serves as a concert hall. St. Matthew Church, one of only two Protestant churches in Lucerne, was designed by Ferdinand Stadler around 1848. It came about as a result of a search for a church site by the owner of the adjacent Hotel Schweizerhof. The church represents a fascinating example of Neo-Gothic Renaissance style. Composer Richard Wagner, who lived in Lucerne from 1866 to 1872, married his second wife, Cosima von Bulow, here in 1870. The landmark Church of St. Leodegar is considered the most important church in Lucerne. It was built in stages from 1633 to 1639 on the foundation of the Roman basilica that burned in 1633. The church was one of only a few built north of the Alps during the Thirty Years War and enjoys status as an art history-rich church of the German Late Renaissance period. Besides the city’s churches, groups will want to explore the medieval Chapel Bridge. The centerpiece of town, it is one of the oldest covered wooden bridges in Europe. Up the hill is the Museggmauer, a fortified wall that was constructed in 1386; four of its towers are open to the public. Lucerne’s highly popular Transport Museum, located by the lake, will fascinate nearly everyone with its model and prototype trains, airplanes, ships and other vehicles. Besides group tours, the museum offers team-building experiences in cooking, problem-solving and challenges, and torchlight tours and dinner. Numerous Lake Lucerne boats travel between the 33 communities on the lake. Special group trips, including meals and parties, can be arranged. 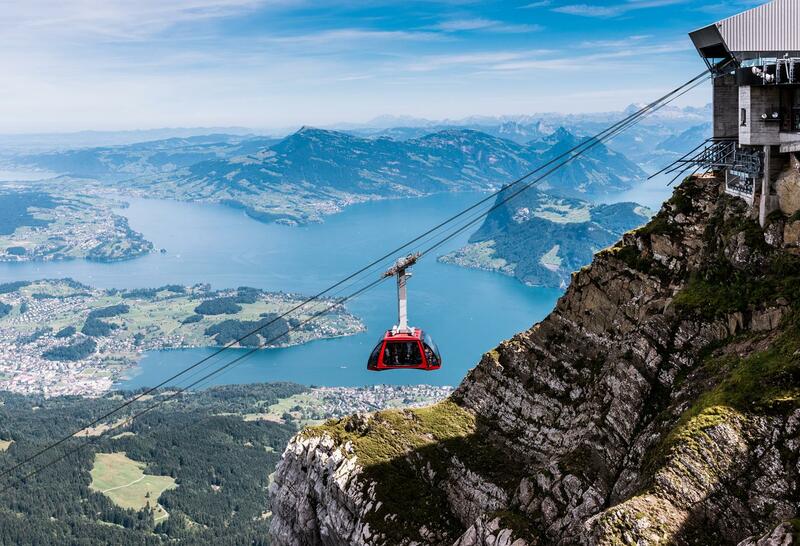 Nearby mountains—Titlis, Pilatus and Rigi—offer cable car trips. The latter two can accommodate groups for special tours on their railroads. 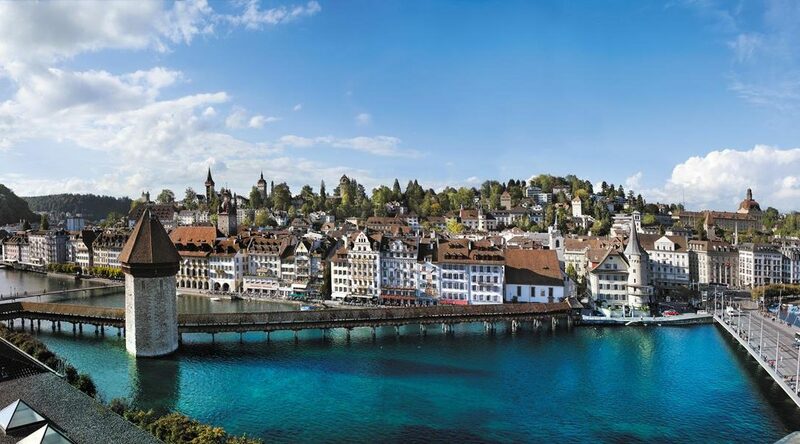 Lucerne is easily reached from the Zurich airport via a one-hour train ride that takes you directly into the central business district. Here many hotels, fine restaurants and shops are easily reached by foot or public transportation.